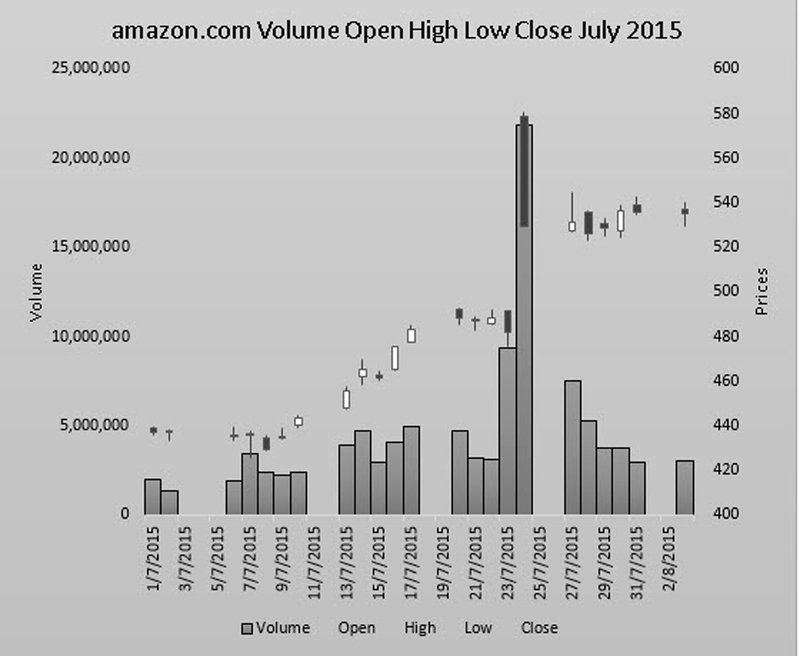 This graph is based on the share prices of amazon.com for July 2015 and I prepared it in seconds using Excel. If you are still with me, I can predict that you want to know how to prepare your own Candlestick Graph or Volume, Open, High, Low, Close Graph. In reality this is a Volume and Candlestick graph combined. I prepared a video to make life easier for you! Take your time over this and you will be drawing these graphs in no time!